Situated in the historic village of Hunmanby, nestled between the beautiful Yorkshire Wolds and the traditional seaside towns of Filey & Scarborough, Lucasland is a unique complex, accommodating up to 18 guests. 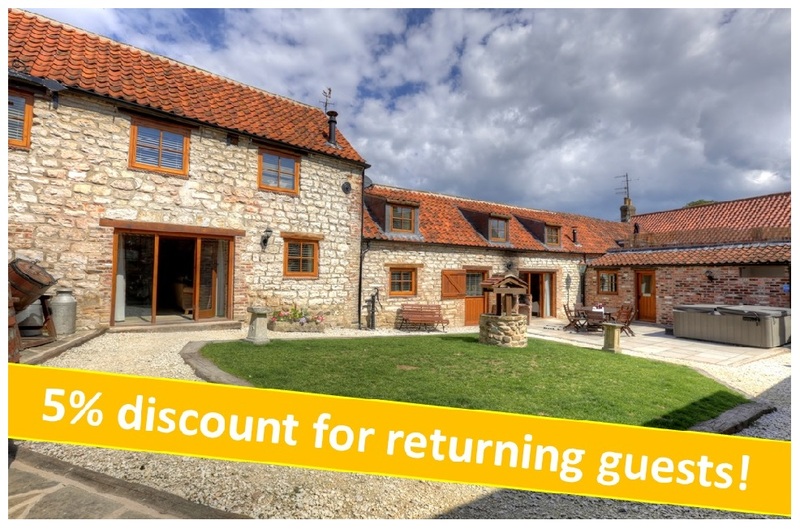 The complex is made up of 3 barn conversions which have been sympathetically restored and renovated into 3 self contained cottages within its own private courtyard boasting a Hot Tub, private pub, lawn and patio area with a brick built BBQ. The cottages boast many original features such as beamed ceilings & chalk walls, along with all the comforts of modern living. All 3 cottages are to be let together and can even be let in conjunction with Denmark House, a detached property just a stones throw away, to provide accommodation for up to 26 people! With or without the addition of Denmark House, Lucasland lends itself ideally to family gatherings & celebrations! - Open plan Living/Dining/Kitchen Area; The living area is complimented by a flat screen TV with a Sky package including Sky Sports, an ipod docking station & feature fireplace. In the dining area, there is seating for 6 and in the kitchen you will find all the essentials including cooker, fridge, freezer & dishwasher. 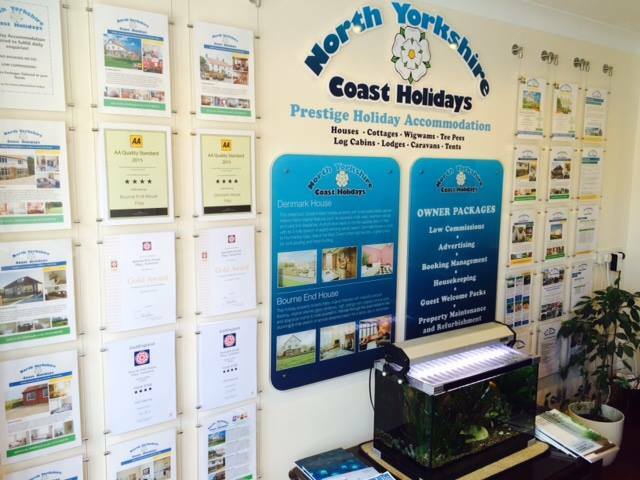 One of the cottages has a disabled friendly bedroom with its own disabled wet room facilities. Throughout the complex there is free WiFi access. On site, there is a traditional Pub where you can even pull your own pint; exclusively for guests of Lucasland. We are able to order 11 gallon kegs on your behalf from around 1.13GBP a pint and have them fitted ready for your arrival! 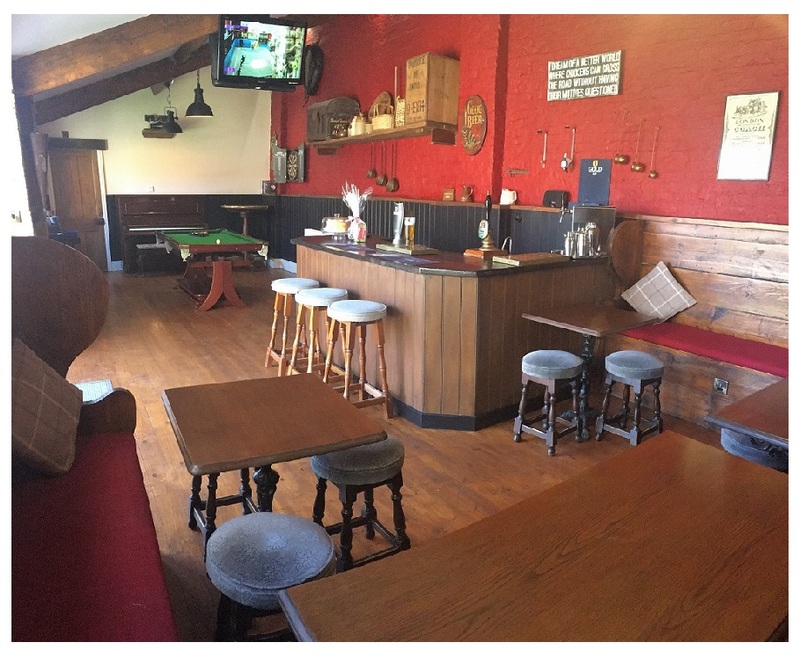 The Pub boasts a pool table, a dart board (no darts provided) and TV benefiting from BT & Sky Sports, meaning there is something to keep everyone entertained! There are tables in the bar area which will allow all 18 guests to sit and eat together! The communal courtyard is also home to an 8 seater Hot Tub - Perfect for sitting back & relaxing in on an evening, although this does need to be closed by 11pm each evening. Other facilities that can be found in the courtyard area are; built in BBQ, garden furniture & a communal laundry room with washing machine, tumble dryer, iron and ironing board. There is ample parking outside as the complex sits at the rear of the village courtyard. A welcome pack awaits you on arrival. Up to two well behaved dogs may be considered however, we will require a Pet surcharge fee of 50GBP per pet. Cots & High Chairs available. 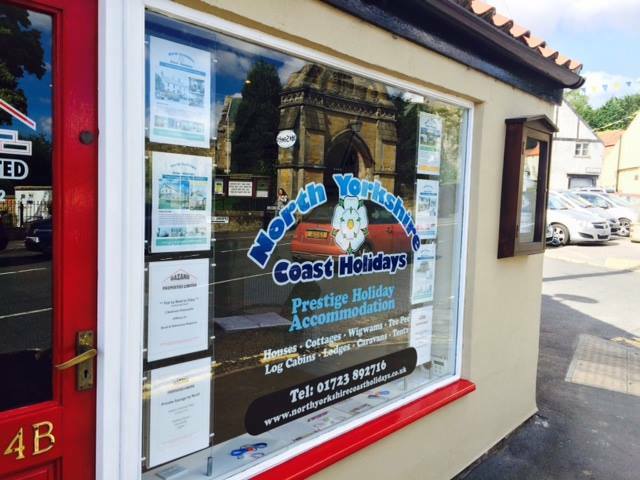 Guests of this property are within a few yards of the Hunmanby main street, which boasts a multitude of shops. If you are cooking at home, there is a local butcher almost on the doorstep, there is also Co-op and Premier on the main street to ensure you get all the for the perfect home cooked meal. There is a small cafe just along the road, with Hunmanby Pantry providing you with fantastic sandwiches, salads and other quality local ingredients. If it is evening food you require, there is a Chinese takeaway, plus many other takeaways in the local area which deliver to Hunmanby, details of which are provided within your information pack. Hunmanby is a relaxed village with a holiday-style way of life, you are close to the beach and within a short drive of the seaside resorts of Scarborough and Filey. Perfect for taking the kids down to the beach with a bucket and spade, grabbing some fish and chips or enjoying an ice cream. Just a short drive down the road is The Bay, Filey. The Bay is home to a leisure centre boasting a gym, sauna and swimming pool. On site you will also find a putting green, tennis court and the John Paul Jones pub which serves great food - we recommend the gourmet burgers! Walking or cycling routes are in abundance along this coast, so there is plenty to do. There are also a selection of local golf courses within reach if you want bring your clubs! Can be booked with DENMARK HOUSE to sleep 26!